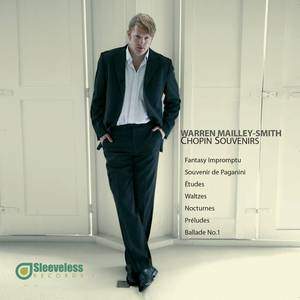 Sleeveless Records (Record Label); Warren Mailley-Smith (Artist); Warren Mailley-Smith (Piano) (Release Artist); Frederic Chopin (Release Artist). Frederic Chopin (Performer); Warren Mailley-Smith (Performer). Nocturne in C sharp minor Op posthum.